Happy Holi! 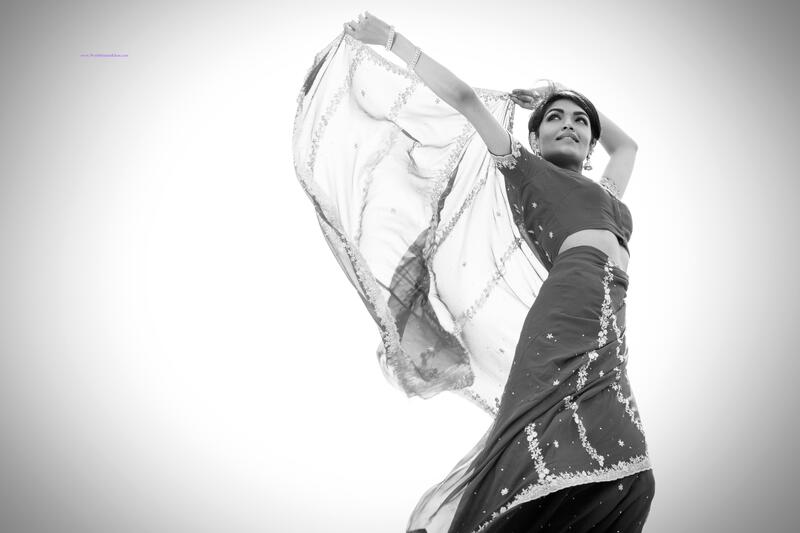 World SannaKhan joins the Heartbeat House dance studios for its Holi Bollywood Dance Glow Party! Hosted by Rahul Nath, Alessia Bonacci and Tonantzin Nunez Sharma. Photo of the Day: Nicole Scherzinger rocks saree in India! The former Pussycat doll performed at billionaire Sanjay Hinduja’s wedding along with the gorgeous Jennifer Lopez. According to reports, it was a three-day event with over 750 guests, which cost around 15 million pounds! Yikes!! Here Nicole is photographed with the brides sister Nandita Mahtani, wearing a gorgeous pink saree with gold embroidery. Looking good Nicole! I’m sure both Nicole and J-Lo stole the show. Jacqueline Fernandez all set for her British-Canadian Film Debut! It looks as though the rumors circulating around Bollywood bombshell Jacqueline Fernandez are true after all! The Sri Lankan babe is set to star in the upcoming Canadian-British thriller ‘Definition of Fear’, directed by filmmaker James Simpson. James Simpson has worked with some of Hollywood’s brightest stars, such as Al Pacino and Penelope Cruz. The film is reportedly going to be shot in Canada and Jacqueline will head over once she wraps up her current project in Malaysia. This project marks James Simpson’s directorial debut and features a script that the nascent helmer also wrote. The story surrounds four girlfriends who take a weekend trip for the holidays to a cabin and discover they are not alone. Oooh, we wonder how long Jacqueline’s character will survive in this hot horror mess!?! The film that has everyone in Bollywood hyped up is now attracting Hollywood as well. Venu Ravinchandran’s film ‘Ai’ has pulled in Hollywood/Hong Kong stunt master Yuen Woo-ping, the stunt guy for critically acclaimed films such as ‘Crouching Tiger and Hidden Dragon‘ and ‘The Matrix‘. We hear Arnold Schwarzenegger is also flying out to India for the film’s audio launch in Chennai. The Hollywood icon is quoted as saying “I want to congratulate a great director Mr Shankar for making such a spectacular film, ‘Ai’ with great visual effects so I will be in Chennai to celebrate the grand audio launch of the movie. I am sure the event will be fantastic and I look forward to attending it,” in a short clip he shared with fans on YouTube. We hear the movie was originally shot in Telagu, and is now being dubbed in Hindi. It was originally called ‘Manoharudu’. The film, which was said to be shot mostly in China over a period of 2 years and 8 months, is directed by S. Shankar and stars Tamil actor, Vikram and British actress Amy Jackson, while also featuring music by the one and only A.R Rahman. Other talent included in the film are Suresh Gopi, Upen Patel and Santhanam, to name a few. The film is said to be an “action thriller” with an hint of romance, of course. It also has a reported $30 million budget and is said to heavily feature special effects and extended action sequences. Let’s see if Bollywood can impress Hollywood as much as it has the Terminator! The film is set to be released around the Diwali festival. Bollywood megastar has been found taking time to regroup after his notoriously high profile divorce from wife of 14 years Sussanne Roshan. But the couple go even further back as the 40-year old ‘Krrish 3’ star had known Sussanne since he was twelve and they had officially been together for 17 years. 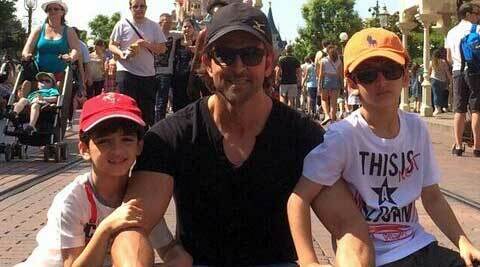 Hrithik recently released a photo showing him relaxing Indian style with sons Hrehaan (8) and Hridhaan (4) at the Magic Kingdom. He released a photo showing him seated Indian style with the caption “On the road less travelled u must sometime stop and take a picture”. Audiences can next expect to see the Bollywood headliner in ‘Bang Bang’ opposite co-star Katrina Kaif. 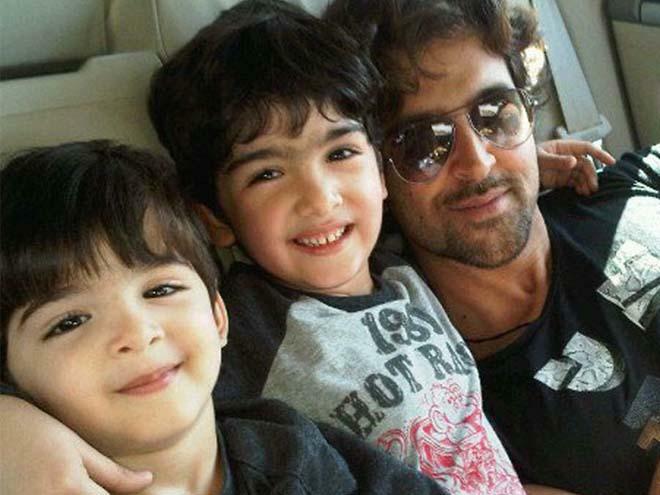 It’s been a busy year for Hrithik with a recovery from brain surgery following an on-set accident, let’s hope that he really can enjoy some R & R with his sons while soaking up all the magic and sunshine Disneyland has to offer. Just recently, VisitBritain, a national tourism agency launched an app which enables users to experience Britain, Bollywood style. They intend on helping Indian tourist by offering them a simple to use app for their mobile devices, which will not only help guide them through Britain, but will also provide them with Bollywood entertainment along the way! Actresses such as, Kangana Ranaut, Tara Sharma and actor Abhay Deol are already on board. VisitBritian is calling it the “Bollywood in Britian” (BiB) app. They plan on helping tourist find their way around the country by offering features such as a travel guide map, destination search, flip tour (which shares celebrity stories and destination recommendations,) while throwing out some fun B-town trivia related to specific destinations. The app will also help you track Bollywood celebrities favorite spots to visit in Britain. Very cool! The Bollywood in Britain (BiB) app is available on Google Play Store.